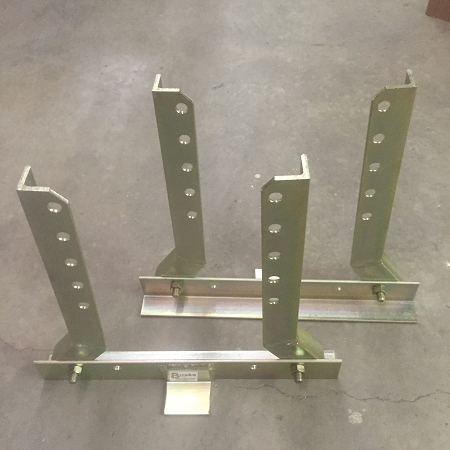 This is a pair of zinc plated wheel stands. 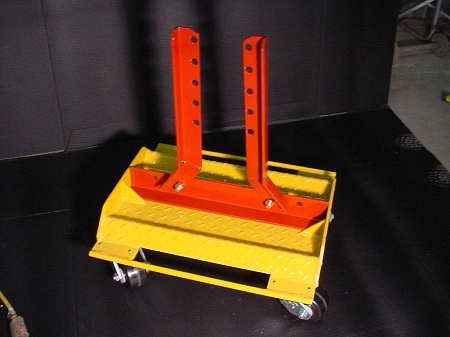 Buske wheel stands are out of the way when working with portable and stationary frame equipment. Using the wheel stands keeps the cars weight where it belongs. This ensures accurate measurements when doing body and frame repairs. It also leaves the undercarriage free and open for hanging center line gauges. The B515 long wheel stand adjusts from 9" to 17". 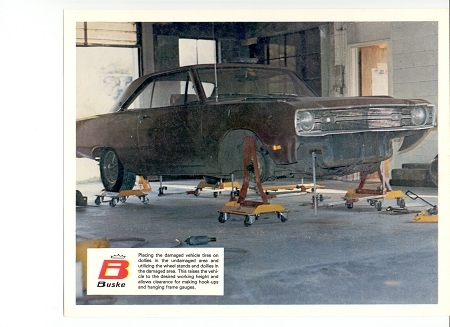 The wheel stands can be set directly on the floor or placed in the B755 car dolly to allow for movement.